The Maestro & Montego Owners Club operates as an unincorporated association. Our constitution is an important governing document that defines what we do, how the club is run and how decisions are made. 1. The full name of the Club shall be “The Maestro & Montego Owners Club”, hereafter referred to as “the Club”. 1. The address of the Club shall be: 2 Dovecot Way, Dunfermline, KY11 8SX. i. Make every effort to inform the membership of the change of address at the earliest convenience. ii. Make every effort to retrieve any correspondence from the original address up to three months from the change. 1. To recruit and bring together owners and enthusiasts of the Austin/MG/Vanden Plas/Rover Maestro & Montego. 2. 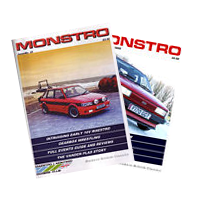 To promote and encourage further interest in the Austin/MG/Vanden Plas/Rover Maestro & Montego models both within and outside the membership of the club. 3. To provide members with information, advice and assistance on matters connected with their cars. 4. To arrange events, tours and social meetings. 5. To afford members such benefits and privileges as it may be possible to arrange. 6. To take every possible action within its power to ensure the long term preservation of as many examples of the Austin/MG/Vanden Plas/Rover Maestro & Montego as possible, including, where necessary, action against government legislation affecting these cars. 1. The name and logo of the club shall appear conspicuously on all documents, publications and other written communications issued by the Club, and on its behalf. 2. No official or member of the Club shall be permitted to use the name, logo, property or other assets of the Club for private purposes without the prior approval of the Committee. 3. Members shall not conduct any activities using the club’s name and/or logo without the written consent of the Committee. 4. Members shall not use the club’s name and/or logo in any communication with any organisation, authority or person without the written consent of the Committee. 1. Authority and responsibility for the business of the club shall be vested in a committee. The committee shall be elected at each Annual General Meeting by the membership. The committee shall also have the power to co-opt other members as it deems necessary. 3. All candidates for posts on the Committee must be paid up members of the Club. 4. Nominations of Candidates for election to the Committee may be submitted in writing to the secretary not less than seven days before the AGM, or nominations may be made at the AGM itself. iii. be removed from office by a resolution passed by all the other members of the Committee after inviting the views of the Committee member concerned and considering the matter in light of any such views. i. preside over all meetings of the club and its Committee except that in his/her absence those present shall elect a Chairperson from the Committee for the duration of the particular meeting. ii. exercise impartial control over all meetings. i. attend wherever possible all meetings of the Club and its Committee, and record accurate minutes of the proceedings. ii. organise and give due notice of all business meetings of the Club. iii. receive and promptly attend to correspondence. iv. oversee the general smooth running of the Club. i. supervising the prompt banking of all monies under the name of the Club. ii. paying all demands, upon the authorisation, instruction and direction of the Committee. iii. the preparation of actual records of the income, expenditure, assets and liabilities of the Club. iv. producing, as required by the Committee, all books, records, documents, etc., property and monies of the Club that are in his possession. v. rendering, at Club and Committee meetings, full, clear and factual reports upon the Club’s finances. vi. rendering accounts for audit, as directed by the Committee. 4. The specific duties of other members of the committee shall be agreed upon their appointment. 5. Any member of the committee who shall, without good reason, absent him/herself from three consecutive committee meetings, will be understood to have resigned from this position upon the committee. 1. Not less than two committee meetings shall be held during each financial year. 2. A quorum at a Committee meeting is any 3 members of the Committee. 3. Written notice of any meeting of the Committee shall be given by the Secretary to all members of the Committee not less than seven days prior to the meeting. 4. A Committee meeting may be held either in person or through electronic means agreed by the Committee in which each participant may communicate with all other participants. 5. The Chairperson or (if the Chair is unable or unwilling to do so) some other member of the Committee chosen by the members present presides at each committee meeting. 6. Every issue may be determined by a simple majority of votes cast at a Committee meeting but a resolution which is in writing and signed by all members of the Committee is as valid as a resolution passed at a meeting and for this purpose the resolution may be contained in more than one document and will be treated as passed on the date of the last signature. 7. Except for the chair of the meeting, who has only the casting vote, every Committee member has one vote on each issue. 1. Once in each year not more than three calendar months after the end of the previous financial year the Committee shall convene an Annual General Meeting of the Club, which shall be held upon a date and time fixed by the Committee. i. Receive from the treasurer a full statement of accounts showing the receipts and expenditure for the previous year. ii. Receive from the Committee a report of the activities of the club during said year. iv. Decide on any resolutions which may be duly submitted to the meeting. 3. Members wishing a matter to be discussed at the AGM shall submit the text of such matters to the secretary at least 14 days before the date of such a meeting, so that it may be included in the agenda. 4. The Secretary shall give in writing a minimum of 21 days notice of an A.G.M. to every paid-up member of the club, specifying the date, venue and time of the meeting. The Secretary’s notification (incorporating the agenda) shall be sent to each member at the address as listed in the register of members. 5. The presence of at least three members of the Committee, plus at least four fully paid-up members of the Club at an Annual General Meeting forms a quorum. 6. No person may participate in an AGM unless he/she is a member of the Committee or a member of the Club. 7. Every person with a right to be present shall be entitled to a single vote. The chairperson shall not be entitled to vote but holds the casting vote. A majority of votes decides a resolution. 8. An Extraordinary General Meeting may be convened for a specific purpose at any time by the Committee and must be called within 14 days after a written request to the Committee from at least 10 members. Such a meeting may consider more than one specific item, provided that each has been notified in advance to every member in accordance with the Constitution. 1. An Extraordinary General Meeting may be convened for a specific purpose which must be acceptable under the terms of the Constitution. i. By direction (majority vote) of the Committee. ii. Upon the petition of at least 10 paid-up members of the Club. Such petitions must clearly specify the exact nature of the matter to be discussed, and be lodged with the Secretary. 3. Within 7 days of his being properly advised that an E.G.M. is required, the Secretary shall give in writing a minimum of 21 days notice to every paid-up member of the Club. The notification to each member (specifying the date, venue and time of the meeting) shall be sent to the address as listed in the register of members. 4. An Extraordinary General Meeting may consider more than one specific item, provided that each has been notified in advance to every member in accordance with the Constitution. 5. The cost of calling an Extraordinary General Meeting as convened under clause 2(ii) shall be borne by the petitioners unless the meeting decides otherwise. 6. The presence of at least three members of the Committee, plus at least four fully paid-up members of the Club at an Extraordinary General Meeting forms a quorum; or 75% of the number of petitioners, if called by petition of members. 7. No person may participate in an E.G.M. unless he/she is a member of the Committee or the Club. 8. Every person with a right to be present shall be entitled to a single vote. The Chairperson shall not be entitled to vote but holds the casting vote. A majority of votes decides a resolution. 1. The Club may, from time to time, hold informal meetings for social purposes. 2. Formal decisions on Club business cannot be taken at Social Meetings. 3. All members shall conduct themselves in a responsible and mature manner when participating in Club activities. 4. All members shall abide by any rules or bylaws in force at the site of rallies, as advised by the event organiser, the Committee or both. 1. Any serving committee member shall be an authorised signatory to the clubs bank account. All cheques and financial authorisations issued on behalf of the Club, and in its name, shall be signed by any two Committee members authorised to do so. 2. The receipts/invoices of all items purchased with monies belonging to the Club shall be retained by the treasurer, who shall also prepare actual records of the income, expenditure, assets and liabilities of the Club. 3. The Club’s financial year shall run from 1st November until 31st October of the following year. 4. The income and expenditure of the club each year will be announced by the treasurer at the AGM and published in the first available magazine following the meeting. 5. Reimbursement of Expenses – Members of the committee shall have the authority to make small purchases on behalf of the club up to the value of £15.00, but receipts are to be obtained to support reimbursement claims. The second class rail fare or value of fuel used in attendance at committee meetings (excluding the AGM) may also be claimed. 6. The accounts shall be examined at least once a year by an auditor or auditors who shall have access to all books and records of the Club including receipts, bills, vouchers and any other documents that the auditor(s) shall consider necessary for a thorough audit. The auditor(s) shall be appointed at the AGM. 1. Persons living in the UK or overseas, whether car owners or otherwise, shall be eligible for membership. The membership shall consist of Honorary membership and Ordinary membership. 2. The committee shall have the right to refuse any person membership to the club at their discretion and without the need to give a reason. 3. Membership shall require the payment of a subscription fee valid at the time of applying for membership. 4. All members shall be informed in writing by the membership secretary that their subscription is about to fall due not less than 14 days prior to the date. Any member having not returned adequate payment for renewal within 14 days from the due date will be understood to have resigned his/her membership and will be struck off the register of members. 5. Any member wishing to resign his/her membership shall notify the membership secretary accordingly. He/she will be required to surrender a valid membership card, in return for which a refund for the remaining full months of subscription will be issued. i. who, in the Committee’s opinion, has committed a serious breach or infringement of any rule. ii. who’s conduct, in the Committee’s opinion, renders him or her unfit for membership of the Club. iii. who’s subscription is in excess of one month in arrears. In such cases the said member shall thereupon cease to be a member of the club with immediate effect, and no refund of any subscription fee shall be made. 7. All membership cards issued to members remain the property of the Club and on termination of their membership during the validity period of that card, members will deliver up such items to the membership secretary. Membership cards are not transferable. 8. The Committee may elect such honorary members as it sees fit following the passing of a majority vote among the committee. 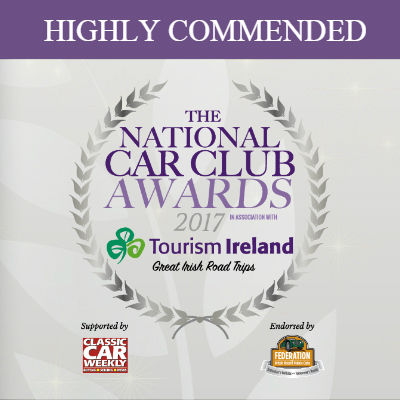 Honorary members may be persons who have contributed or would as a member be able to contribute much to the club, or persons who have won membership to the club as part of a reward for a competition organised by the Club. 1. Any property of the club purchased by members or non-members shall remain the property of the club until payment from the buyer has been received in full. 2. New and used spares offered for sale by the club are not checked or tested mechanically or electrically, and the buyer of any such parts shall accept this. However the club shall not knowingly sell items which have defects or that have lost the ability to perform the function for which they were designed, unless such problems are made clear to the potential buyer. 3. The buyer of any item from the club shall be entitled to a full refund within one calendar month of the date of purchase, provided that the item in question is returned immediately to the club. No postage costs can be refunded. 4. Information on any item owned by the club intended for sale shall be made available in full to any member requesting it. 5. The purchase of Club property shall have no effect upon the statutory rights of the buyer. 1. The Club shall be dissolved only at an EGM of which proper notice shall have been given and at which an affirmative vote on the resolution of at least two thirds is recorded. 2. In the event of dissolution of the club, the EGM shall appoint one or more Trustees, who will have full authority to wind-up the Club’s affairs. All assets and monies of the Club, after provision has been made for settlements of all debts and liabilities, shall be disposed of equally amongst the members of the club at the earliest opportunity by the Secretary. 1. The constitution of the Club may only be added to, repealed or altered by resolution at any AGM or EGM meeting of the Club. 2. All alterations to Club rules shall be communicated to the membership. 3. Members shall be furnished with a copy of the Constitution upon joining or following a written request to the Secretary, and a copy shall be published on the Club’s website.